The only thing about this post that doesn't make me all giddy and excited about this recent Wooster Collective post is that NIS uses the word prank at the end. Prank doesn't do justice to the risk whomever did this took in order to make a simple message clear. "I was on my way home from work today, and when I changed subway lines at Nørreport Station (the busiest travel hub in Copenhagen) - something seemed off. There were no ads at all! 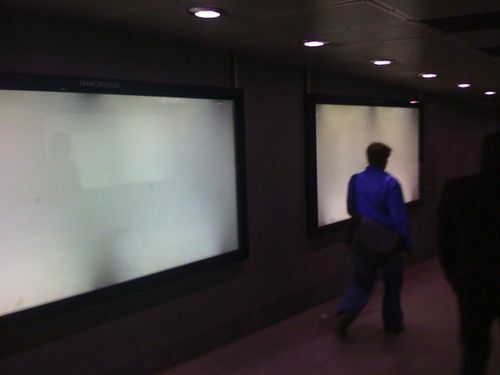 Somehow someone have taken down all the ads inside locked poster-frames on a heavily CCTV'ed train station. And I think it's been done during the day - because I didn't notice the ads missing this morning on my way to work. ...that the logo on top of the poster frames had been altered. 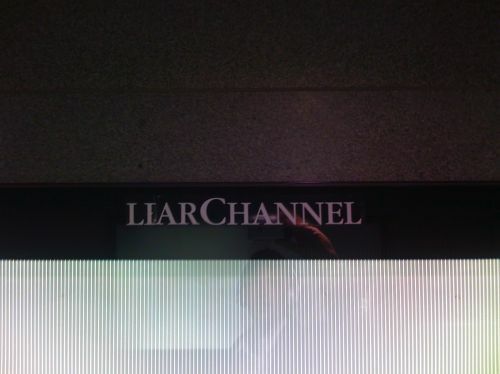 It no longer said CLEAR CHANNEL, but now read LIAR CHANNEL." This prank was so fantastic in it's simplicity that I had to share it with you." haha! 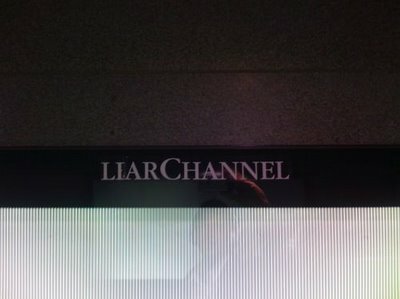 I saw this in Copenhagen when I was there last week and at first thought, "oh, maybe that is what 'clear' means in Danish. "!